This looks like a coloring book for kids, but it's probably not a good idea to give it to one. This twenty-four page, 8" x 10-1/4" (20.3 cm x 26 cm) book is a great gift for philosophy majors or anyone else overwhelmed with a feeling of hopelessness. 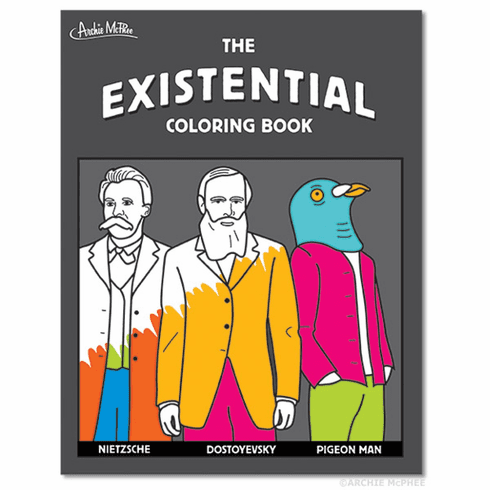 Features quotes from existential thinkers, mysterious pictures to color and mildly depressing activities. ISBN.